Join local artist, Laura Mae Noble for a fun evening of drinking and art. 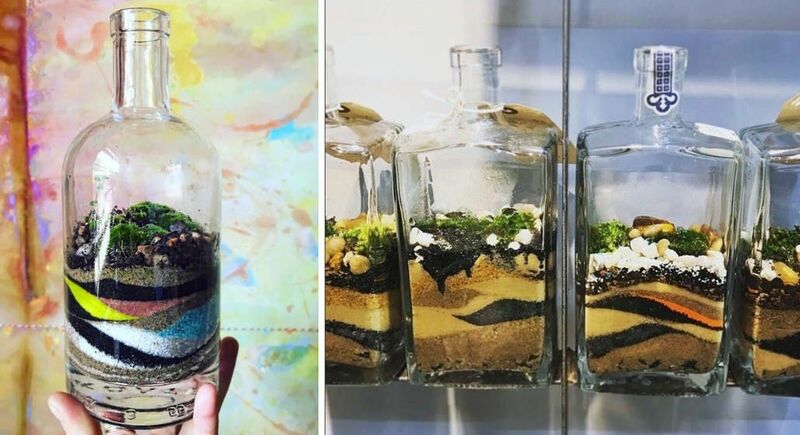 Each guest will build one gorgeous, living terrarium in a glass bottle, with mosses and small plants selected for their ability to thrive in a terrarium environment with minimal, simple care. Terrarium supplies, including moss and small terrarium plants are provided. Students should bring their own clear glass vessel that is about 750 mL- an empty clear glass liquor or wine bottle is a great bet. A small selection of bottles will also be availble to choose from. 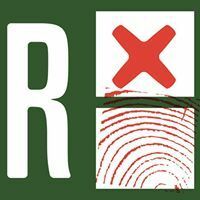 This class is designed to encourage and empower exploration and further terrarium-building, for the benefit of plants, people, and planet alike! Great for any experience level. Those under 18 are welcome with one adult per youth. Plant care instructions included, for a long, happy life of green goodness. This is a BYOB&B event- Bring Your Own clear glass Bottle & Beverages. 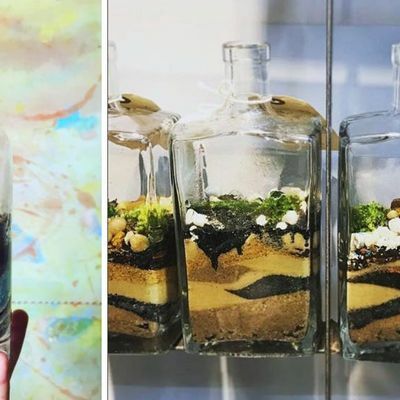 Save a bottle from the landfill, and make living art! Adults over 21 are welcome to sip alcoholic beverages. Laura Mae Noble is a designer and teaching artist on faculty at SAIC. She runs a small planting design and terrarium company, Noble Terraria, located in Bucktown. She also has a private creative coaching practice, focusing on portfolio and personal development for creatives and design school hopefuls. She works in a variety of media, including illustration, drawing and painting, and designing with sustainable plantings and terrariums. Her home and studio are rich with various plants, and animals. Whether teaching or working with people, illustrating or drawing, or caring for plants and animals, the common theme in her work is life. Originally from Vermont, she has been living in Chicago since 2010. LMN loves this city, the big Lake, and the people that live around it. Life's good, and worth sharing! Materials are included in the fee for the workshop.